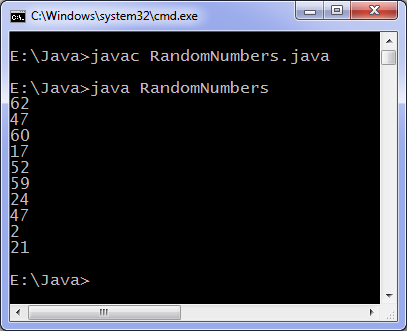 This code generates random numbers in range 0 to 100 (both inclusive). nextInt(c) method returns next integer in 0 to c (both inclusive), c must be positive. To generate random float’s use nextFloat which returns float between 0.0 to 1.0.